Apple's HomePod speaker may leave your wooden table looking a little worse for wear. The company's new internet-connected speaker and virtual assistant could leave marks behind "when placed on some wooden surfaces," Apple confirmed on Wednesday. In a review of the device published on Wednesday, product recommendation site Wirecutter said the speaker left white circles behind on a wooden surface. The reviewer said he would avoid putting the device on nice furniture. Review site Pocket-lint also reported the same issue. Apple (AAPL) updated its support page to say the "vibration-dampening silicone base" may mark the wood. The company said the marks will go away "after several days" once the speaker is removed, but if not, you should wipe off the surface. "The marks can be caused by oils diffusing between the silicone base and the table surface," the support page reads. 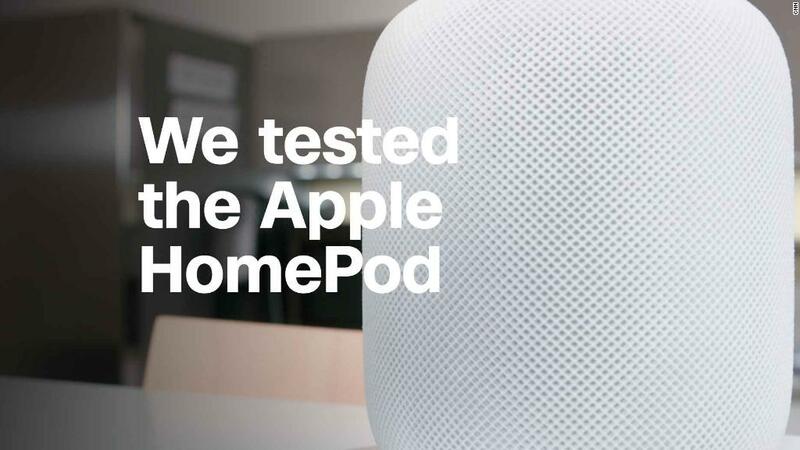 "If you're concerned about this, we recommend placing your HomePod on a different surface." HomePod officially launched last week for $350, and early reviews suggested the speaker, with Siri, isn't all that smart. Leaving marks on wood is a further knock to the gadget that's trying to compete with the established Google Home and Amazon Echo speakers, and a blemish on Apple's reputation for design. CNN Tech's Kaya Yurieff contributed to this report.